Here we have a Vespa PX disc front mudguard. This is a good quality Italian item. If,when you recieve your item,you do find that you have a problem with anything. when things go wrong. should you need to discuss anything at all. Will Fit All PX Models With 20mm Fork Linkage 19 82/'83 Onwards. 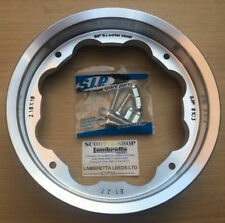 Vespa Front Wheel Bearing Kit. Roller Bearing. Needle Bearing. Here we have Vespa LML 2 stroke PX PE front mudguard embelisher. BUZZ SOLO MOTO. should you need to discuss anything at all. We have sold literally thousands of scooter parts worldwide since we opened in 1997. Honda SH125i (2 Piston Front Caliper ) (2014 to 2018) EBC Organic FRONT Disc Brake Pads (SFA196) (1 Set). 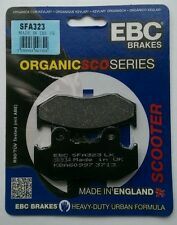 Honda SH125 EBC Organic Front Brake Pads model applications :-. Honda SH 125i (2 Piston Front Caliper) :- 2014, 2015, 2016, 2017, 2018. Honda PCX125 / PCX150 (2012 to 2017) EBC Double-H Sintered FRONT Disc Brake Pads (SFA603HH) (1 Set). Honda PCX125 / PCX150 EBC Front Brake Pads model applications :-. Honda PCX150 (WW150) (EX2 C / D / F / H) :- 2012, 2013, 2014, 2015, 2016, 2017. A tried, tested and proven tyre of our very own, made for those with race ambitions, and that at unbeatable value for money. A tyre should have excellent traction in dry conditions and also give a solid feeling when riding in the wet, be long lasting, look good and not cost the earth. Right Brake Lever for BT49QT-9 amongst other models as listed which have front disc brake. Right Disc Brake Lever Black. 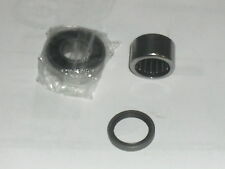 This component will fit the Direct Bikes DB50QT-11 50cc Scooter. Why choose us?. Piaggio Skipper 125 ST 2003. Maxxis tyre with plenty of tread, holds air fine. 12" FRONT WHEEL & GOOD TYRE 120/70-12. Good condition just needs a clean, from low mileage 2003 scooter. These are used car parts and may be dirty. 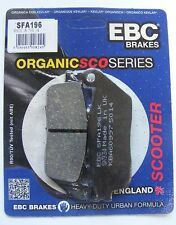 One pair of EBC SFA301 Organic Scooter grade Brake Pads. TÜV tested and ECE R 90 approved. 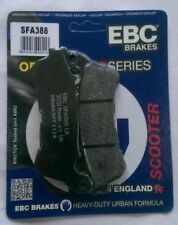 EBC Scooter Brake Pads. EBC produce the largest range of brake pads and brake discs in the world. EBC has always pursued the philosophy that brake pads and brake discs are safety products and are the best handcrafted and made with care and maximum focus on high quality. Good for PX, LML, T5 etc. Vespa Indicator lens. Fully smoked. Our aim is quite simple, to provide a high quality product at lowest possible prices along with a fast and efficient service. All orders are despatched promptly from our UK based warehouse. Mini Moto 47cc 49cc Minimoto Brake Levers. Front & Rear. 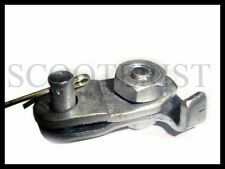 Mini Moto 47cc 49cc Minimoto Brake Levers. Front & Rear. Mini moto minimoto gp race style fuel tank & cap 47cc 49cc. Mini Moto Minimoto Full Gasket Set 47cc 49cc. 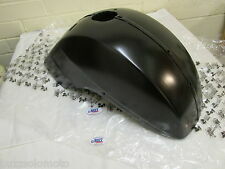 Mini moto minimoto 49cc Full fairing / plastics Fitting kit. LML Star 125 2T/ DLX / Via Toscana / Deluxe 125 2T AC not in series. LML Star 150 4T Automatica/CVT 151 4T AC. LML Star Lite 125 4T Automatica/ CVT 125 4T AC '15-. Suspension Arm Cover PIAGGIO. Originally, matt aluminum covers were included in all Vespa models up to the PX/T5/PK series. This is a right front hand brake hydraulic master cylinder unit with lever for Baotian 50cc QT7 and 125cc T2 scooters. This item includes the brake lever, fluid reservoir, clamp and brake light wire. Peugeot New Tweet Evo 125 (4T) :- 2014, 2015, 2016, 2017, 2018. Peugeot New Tweet Evo 125 RS (4T) :- 2014, 2015, 2016, 2017, 2018. Peugeot Tweet 125 EBC Organic Front Brake Pads model applications :-. Yamaha XC125 R Majesty S EBC Organic Front Brake Pad model applications :-. Yamaha XC 125 R Majesty S :- 2015. On a Vespa PX Disc scooter. The nuts used in our other kits are all nyloc nuts (shake proof nuts). You are viewing to buy a stainless steel fixing kit for the. 5 BUTTON ALLEN BOLTS that secure your front brake disc to the front hub. Will also fit LML star 125 200. This item is a genuine vespa part and not after market. Any bike that uses a 139QMA or 139QMB engine. Baotian 50cc complete variator kit. This part fits behind the left side engine casing and is driven by the drive belt. It can fit the following makes of 50cc 4-stroke scooter. Features of the bgm Original rims With every change of the tyres the wheel rim should be inspected. A close look to the condition of the wheel studs, rim flange and a rusty rim well should be taken. Front Forks Yoke Steering Stem for Peugeot Speedfight 2 50/100cc. This component will fit the Peugeot Speedfight 2 100cc S2AB. 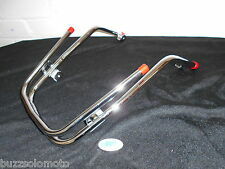 Front wheel swing arm including fork cone for Peugeot Speedfight 2 50/100cc scooters. Highly polished version of the stainless steel wheel rims from BGM Scooter Center. That’s why we’ve developed these GTS SLUK Guards. Designed by SLUK and made in the UK. Alternatively, you can fit using plastic number plate bolts, stainless bolts with nylon nuts or rivet them on. Lambretta drive sprocket. Our aim is quite simple, to provide a high quality product at lowest possible prices along with a fast and efficient service. All orders are despatched promptly from our UK based warehouse. We've been careful to recreate the SLUK Driver and improve certain aspects without losing its identity and without trying to clone the original. If you own an original it'll still be worth keeping, there's nothing beats a genuine retro screen. Brake Disc EBC Scooter Stainless Steel. This steel is significantly more resistant to rust than cast steel. In addition, the entire surface is protected by a 3 micron thick zinc layer, which is braked in the area of ??. Good for Bajaj chetak, vbb conversion, sprint etc. Our aim is quite simple, to provide a high quality product at lowest possible prices along with a fast and efficient service. All orders are despatched promptly from our UK based warehouse. EBC CX Series - rigid brake disc for motocross. The design provides an excellent look at different motocross models. The goal is also the weight reduction. The fewer holes available, the better the wet braking behavior and the lower the wear on the brake disc. Made of high-alloy SCM415 / 15 CrMo 5 steel. The enormously high strength of the base material (up to 1100N/mm2, HRC 58-62) provides a reassuringly safe basis for the production of BGM pinions. Each individual part receives a test report. Prior to entering batched production, theSIP Performance shock absorbers were also tested at clutch and suspension specialists Sachs (since 2001, ZF Friedrichshafen AG) in Schweinfurt. Bitubos and similar gas pressure shock absorbers were used as objects of comparison. RALLY 180 / 200 /PX125 / 150 / 200. V100 / 150 SPRINT / SUPER VESPA ET3. FRONT BRAKE CABLE CLAMP. LexmotoMilano 50 FT50QT-27, Milano 125 EFI FT125T-27-E4, Milano 125 FT125T-27. 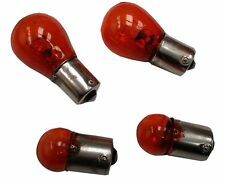 This is a set (2 Front & 2 Rear) of carbon look indicator lenses to fit a Vespa PX / T5 / Lml with a set of 4 (four) 12v 21w indicator bulbs with offset pins. LML Star 125 2T/ DLX / Via Toscana / Deluxe 125 2T AC. 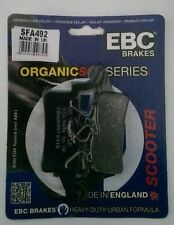 Piaggio X10 350 (2012 to 2015) EBC Organic FRONT Disc Brake Pads (SFA353 / SFA418) (1 Set of each). Piaggio X10 350 (4V / 4T / EFI / All Models) :- 2012, 2013, 2014, 2015. Piaggio X10 350 EBC Organic Front Brake Pads model applications :-. Coilover Shock Strut fit Nissan Skyline GTR R34 BNR34 24 Ways Sales. -for Nissan Skyline R34 BNR34 GTR RB26 2.6L. - for Nissan Skyling R34 ENR34 GTT RB25DET 2.5L with modification. Type: short eye type front shock, fork type rear mount. Front Brake hydraulic master cylinder & calliper for the Baotian QT-12. Boat, Trailer. Motorbike, Scooter Parts. PETROL SCOOTER. Bike Kits. Cable or Hydraulic?. Bike Parts. Electric Fun. Motorcycle Tourmax Front Brake Master Cylinder Reservoir Kit. Brake fluid reservoir from Tourmax. 1 x brake fluid reservoir. 1 x lid for the brake fluid reservoir. find your part. However, delays are occasionally inevitable due to unforeseen circumstances. Brake Disc VR Scooter EBC. Feature 2: VR Scooter. EBC Vee-Rotor brake disc for scooters. In addition to the weight reduction, the cooling of the brake disk is essential. The fewer holes available, the better the wet braking behavior and the lower the wear on the brake disc. LexmotoFMR 50 WY50QT-58R, FMR 125 EFI WY125T-74R-E4, FMR 125 WY125T-74R. 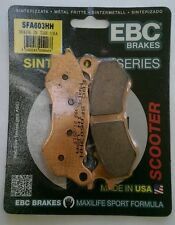 Brake Disc EBC Stainless Steel Universal. PCD: 78 mm. Material: Stainless Steel. However, delays are occasionally inevitable due to unforeseen circumstances. A signature will be required. Type: Floating. Lambretta Series 3 & GP HEADLIGHT RIM EARTH WIRE SCREW CLIP. Suitable for all s3 Li, TV, SX, Special & GP / DL inc Indian & Spanish model scooters etc. 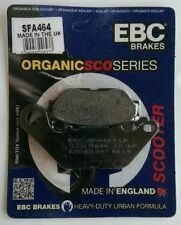 Piaggio X9 250 (2000 to 2004 /13" Rear Wheel) EBC Organic FRONT Disc Brake Pads (SFA266) (2 Sets). Piaggio X9 250 EBC Organic Front Brake Pads model applications :-. 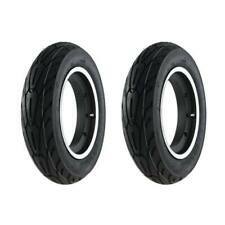 Piaggio X9 250 (13" Rear Wheel) :- 2000, 2001, 2002, 2003, 2004. Spring rate Front: 10 kg/mm (560 lbs/in). Spring rate Rear: 6 kg/mm (336 lbs/in). 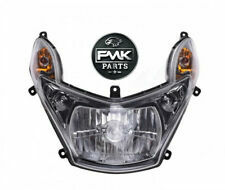 for Honda Acura TSX 2004-2008. Adjustable pre-load spring tension. It also improves the steering feel and response. Always the correct part. 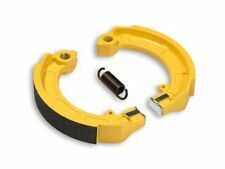 If your brakes are ineffective, the brake shoes are usually the reason. If the shoes get wedged in the drum, your scooter is an accident waiting to happen. For this reason, the brake shoes should be changed at every service.